You eat the right balance of foods and try to exercise several times each week. You want to live life to the fullest so health is a priority in your life. I know how you feel. While I do what I can to keep my vitality and stay fit, lately I’ve wondered what else I can do to improve my overall wellbeing and prevent age-related diseases from sneaking up on me. Over the years my diet has improved dramatically; I exercise regularly and daily vitamins are part of my routine. But I still wondered if there might be something more I could do to continue my quest for healthy living. After some searching, I stumbled upon fish oil capsules. These little powerhouses have some incredible benefits for those looking to kick start their supplementation and continue down the road of lifelong health. 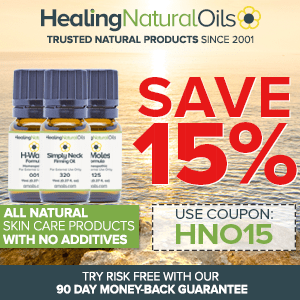 What are fish oil supplements you may ask? Well, I’m happy to tell you I’ve found out a few interesting and even inspiring facts about these pills. Generally speaking, fish oil is a good way to get essential omega-3 fatty acids into your body that you may not get through diet alone. Omega-3 fatty acids are important because they assist and improve so many of your body’s essential functions. It’s wise to ensure you include omega-3 fatty acids in your nutritional intake. But not everyone has access to fresh fish, and many don’t like fish at all. When that is the case, an alternative to eating the recommended amount of seafood is taking fish oil supplements. Made from the same omega-3 fatty acids found in fish as well as a hearty dose of DHA, fish oil pills could give you the nutritional boost you’ve been looking for. It’s incredible the things you learn when you start your journey to better health. When I first started considering fish oil capsules, I knew almost nothing about them. I was extremely surprised to find out about all the benefits that go along with taking fish oil daily. But what shocked me the most was how much good fish oil can do, and how few people use these benefits to their advantage. While there are many positives, the eight most impressive to me are included below. Did you know that taking fish oil pills on a regular basis may prevent or improve certain brain disorders? Amazing, right?! It works like this, your brain as an organ is composed of almost 60 percent fat, most of which is omega-3 fatty acids. Your brain literally must have omega-3 fatty acids to function. It’s not a surprise then that numerous studies have shown a correlational link between low omega-3 levels in the blood and brain disorders, like Alzheimer’s, major depression, even schizophrenia. Taking omega-3 dense supplements, fish oil capsules, for example, has been shown to reduce the effect of brain disorders and improve brain function in many cases. You may not spend a lot of time thinking about your heart, but you should. Heart disease is the number one cause of death the world over. This disease is the result of a combination of factors that combine to wreak havoc on your heart. Fortunately, taking fish oil capsules regularly improves many of these risk factors dramatically, leading to better heart health. Triglycerides – Higher levels of triglyceride-rich lipoprotein in the blood is an indicator heart disease. Regular fish oil capsule consumption has been shown to lower triglyceride levels by up to 30%. Blood pressure – If you have high blood pressure or are at risk of developing high blood pressure, fish oil can help. Fish oil pills / supplements is associated with reducing elevated blood pressure, and preventing high blood pressure in the future. Cholesterol – While fish oil supplementation has not been shown to lower levels of LDL, also known as “bad” cholesterol, it is associated with improved levels of HDL, or the “good” cholesterol. This benefit is important for heart health because HDL carries cholesterol away from the bloodstream, reducing the risk of many heart and blood-related diseases regardless of LDL levels. Plaque – Fish oil has been shown to prevent plaque from building up in blood vessels, and where plaque is already present, taking fish oil reduces risks associated with buildup. Fish oil capsules are also beneficial for hearts with irregular beats, called arrhythmias. Sometimes these arrhythmias can be fatal, but fish oil supplementation has been known to lower the risk of these dangerous events. Do you store excess fat primarily in your middle? If you do, your waist circumference will likely creep close to or over your hip circumference any time you gain weight. The comparison between the two measurements is called waist to hip ratio (WHR), and that’s an important consideration in determining your future health prospects. Did you know that one of the top indicators of risk for developing heart-related diseases and diabetes is waist to hip ratio? It’s true. If your WHR is 0.85 as a woman or 1.0 as a man, you are classified as high risk for certain health conditions. The good news is that taking daily fish oil capsules can help. A thorough investigation into 21 separate studies indicated that taking fish oil capsules helped redistribute fat in study participants, lowering WHR. Further, when combined with healthy diet and regular exercise, participants experienced significant fat loss. Babies growing in their mother’s womb need omega-3 fatty acids for brain and eye development. Expectant mothers can maximize their omega-3 intake by adding a fish oil supplement to their prenatal routine. The benefits of fish oil pills don’t end at birth though. Mothers who plan to breastfeed should continue with supplementation as long as their nursing relationship continues, as omega-3 fatty acids have been shown to improve hand-eye coordination development in infants and reduce the risk of certain allergies. We are all aging, and our skin accumulates the years along with us. Because most of us are not as careful with our skin as we should be, significant damage can appear over time. Fish oil supplements taken regularly can heal and prevent some of the damage we routinely inflict on our delicate beautiful skin. You might also consider taking fish oil capsules for your skin if you suffer from eczema or psoriasis. Several studies have shown that improved omega-3 levels decrease the severity and frequency of symptoms in these uncomfortable skin conditions. If you experience inflammation in your body, even when you aren’t sick, you suffer from chronic inflammation. Chronic inflammation is more common in men and women who struggle with obesity than those in a healthy weight range because of the overproduction of the molecules responsible for inflammation, called cytokines. Often chronic inflammation leads to painful rheumatoid arthritis as inflammation reaches the joints, causing pain and swelling to occur. Fish oil supplements have been shown to regulate the production of inflammation-causing cytokines, successfully reducing inflammation in people chronically suffering from it. As a result, rheumatoid arthritis can be prevented or delayed, and symptoms are significantly reduced in those already affected. While you probably already know that vitamin D and calcium are crucial components to bone density and health, you may not be familiar with the benefits of fish oil capsules for bones. 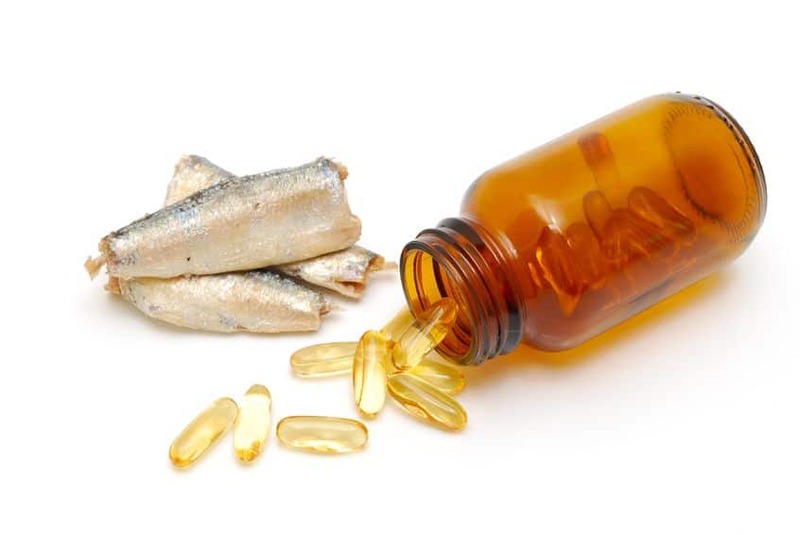 Studies show that regular fish oil supplementation is correlated with better bone mineral density, although scientists have not yet discovered why this connection exists. Further studies have shown lower levels of bone breakdown in those who regularly consume fish oil pills, delaying the onset of osteoporosis and other bone diseases. Omega-3 fatty acids are an integral component in the structural integrity of your eyes. With age, those who don’t have enough omega-3s in their blood or diet can experience age-related macular degeneration, causing vision to decline rapidly. In one study of patients with age-related macular degeneration, taking a high dose of fish oil capsules on a regular basis improved symptoms in every subject. While other studies have not been as conclusive, it is certainly a promising finding! Many years ago, when I was a teenager sitting in economics class, my teacher said something that has stayed with me ever since. Our teacher asked all of us what we would do if someone came up to us and offered us a free lunch. Most of the class (myself included) said we’d jump at the chance for something to eat free of charge. She explained that somehow or other the cost of that meal would trickle down to us and said, “There’s no such thing as a free lunch.” Because of this wisdom, I know never expect to take the good without accepting the requisite downsides. In a broader application, this phrase means if it sounds too good to be true, it probably is. There is no such thing as a side-effect-free health food supplement, and if someone claims they have one, take my advice, don’t buy it. Taking fish oil pills may come with a few possible adverse effects, and while it may not be a free lunch, it’s still an excellent investment in prolonged improved health. If you add fish oil to your diet, keep an eye out for these commonly experienced side effects. You may experience chills, fever, body aches, and general tiredness when you start taking fish oil pills. If you do, it may be an indicator that your body is healing itself and needs more rest. Try getting a little extra sleep. If this doesn’t help it is advisable to call your doctor. While most people experience an improvement in symptoms of heart arrhythmia, asthma, and inflammatory diseases, this isn’t always the case. In rare instances, fish oil capsules may cause an increase in severity or frequency of symptoms of these diseases. Taking high doses of fish oil pills may affect your immune system negatively. This negative impact can decrease your body’s natural ability to fight off infection. Most would agree that lowering blood pressure is a positive side effect of fish oil supplements. But for those already on blood pressure medication, fish oil may cause an unhealthy drop in blood pressure. If you have diabetes, be advised that fish oil supplementation may put you at risk. Omega-3 fatty acids can affect blood sugar levels, and should not be taken without consulting with a trusted physician or medical professional. Fish oil supplementation may cause bloating, stomach upset, and indigestion in some individuals which can be uncomfortable. In rare cases, some people experience a fishy breath odor alongside these symptoms. Taking the correct dose of fish oil capsules is important. It has been shown that daily supplementation of over 3 grams may inhibit blood from clotting properly, increasing the chance of bleeding. Upon beginning a fish oil capsule supplement, many people report the onset of a low backache. While this is unpleasant, it usually ceases within a few days. If a backache continues for a prolonged period, stop supplementation and discuss with a trusted practitioner. A reduction in these side effects has been noted when capsules are taken with meals or frozen before use. Yes, fish oil capsules like anything else may cause unwanted side effects, which is why it is so important to keep your doctor or nutritionist advised of any supplements you take on a regular basis. I always encourage you to stay informed and make the best choice for your health when choosing a supplement for daily use. Because the benefits of taking fish oil supplements are taking the health world by storm, the market is flooded with options for your consideration. Remember, supplements are not all created equal. Keep this in mind as you select the fish oil capsules right for you. In my opinion, the one supplement that has the edge over the competition is the one that is my personal best and more so for several reasons. Nutrition Forest’s Omega 3 Fish Oil capsules are my choice for fish oil supplementation, and I am thankful to be able to share the reason with you. These pills come in an easy to swallow soft gel and are packed with 1000 mg of omega-3 fatty acids, including both DHA and EPA. If you don’t have any experience with fish oil supplements you may not know this, but many supplements out there have a hard time striking the right balance of omega-3s, including either way too much, or not quite enough. I have found that Nutrition Forest’s 1000 mg is just the right amount of daily supplementation. Not overly concentrated so negative side effects are limited and potent enough to reap all the benefits. They are also easy to swallow. Generally speaking, I don’t take pills, but I remember a few years ago I was having trouble taking certain multivitamins and supplements because they were tough to swallow. That is never the case with Nutrition Forest’s Fish Oil pills. Some fish oil pills can cause a fishy smell when burping or breathing, which I find distasteful. Nutrition Forest has taken precautions to prevent this from happening as their gel caps have an enteric coating. This layer breaks down slowly, and usually not until the capsule has exited the stomach. So, they don’t have a fishy after-taste or after-smell, thank goodness! The folks at Nutrition Forest take your health seriously, so they make sure that their products are FDA and CGMP approved if that’s something important to you. But the real kicker is the value these supplements are, and Nutrition Forest’s incredible customer service. You can easily spend a fortune on a fish oil supplement of this quality, but Nutrition Forest’s are at a price point that is more comfortable on my bank account. They offer a 30-day risk-free money back guarantee if you are not completely satisfied, and they mean it. If you are not happy with your results and you let Nutrition Forest know it, they’ll refund you the purchase price of your supplements without hassle. These little pills make all the difference in a daily regimen geared to continued health and well-being. Nutrition Forest’s Fish Oil capsules are a no-brainer for me, but I always recommend you do your research. You probably have your reasons for researching fish oil pills, most people do. If you’re curious about how daily supplementation can help you with your area of concern, I’d love to tell you. The most common additional reasons people take fish oil supplements are listed below, along with the benefits these pills bring to each. If you, like many, have some extra weight you’d like to lose, fish oil pills can help. Contrary to popular belief, all fat is not bad for you. As a matter of fact, some fats are so necessary that your body cannot function without them. Omega-3 fatty acids are a prime example. When your body gets enough omega-3s, it uses them to build the outer layer that protects each cell in our body. This layer is called the lipid layer, or “fat” layer, and can be composed of any fat from any food. Omega-3 fats do the best job, why? Because they improve the activity of insulin in cell metabolism. This improved cellular activity improves the body’s metabolic rate overall and subsequently optimizes whole body function. Because your cells have better insulin sensitivity when omega-3 fats comprise their lipid layer, your body drops fat and build muscle at a more rapid pace than it would otherwise do. In fact, a recent study compared the effect of taking fish oil supplements to taking safflower oil for a six-week period. Participants who took fish oil supplements experienced a dramatic loss of fat and increase of muscle in that time, without working out, while participants taking safflower oil did not enjoy results of similar effectiveness. Muscle mass is a fundamental component of weight loss because muscle is an active tissue and burns fat to work. Because fish oil is anabolic, it is an excellent promoter of muscle development. In fact, one study gave adults a daily fish oil supplement, and at the end of the research, the average increase in the pathway responsible for muscle growth was enhanced by a full 30%. Further, participants muscle mass increased by 2%, which is significant because study participants were not required to add exercise to their routine. Fish oil supplements are so effective at promoting weight loss and muscle function that they have been banned from distribution to college athletes by the NCAA. Just another indicator that fish oil is a wonder worker for your body. Fish oil capsules may help you reach your weight loss goals, and their effects are enhanced by improving your overall nutrition and adding exercise and activity to your daily routine. A full head of healthy hair is an indicator of good health. 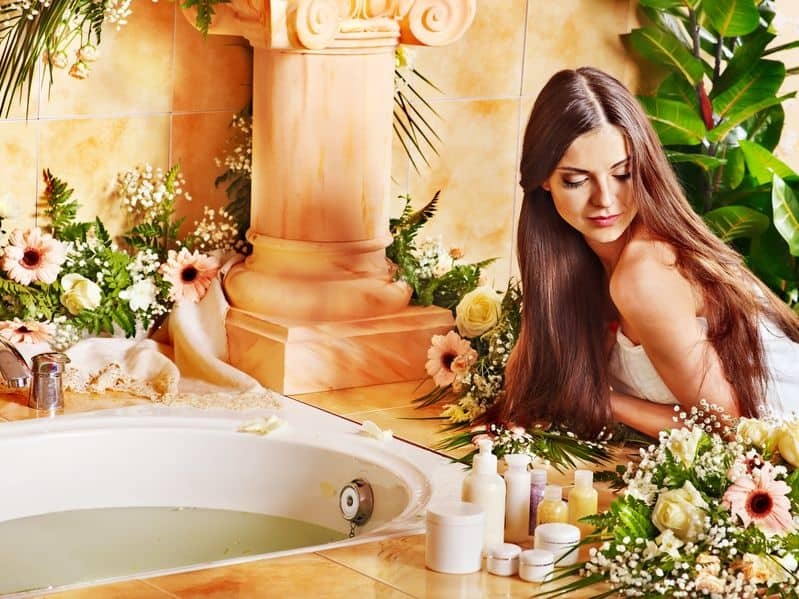 Unfortunately, many people are dissatisfied with the current state of their hair. Many try different shampoos, conditioners, tonics, and treatments in search for a solution to hair woes. It may come as a shock, but traditional treatments for problem hair have little chance of improving the situation. Your hair is not alive, and therefore must be enhanced at the root. The solution? You guessed it, fish oil supplements. Taking a daily fish oil pill sends omega-3s directly to the root bed of each hair follicle, protecting them before they emerge from the skin. With a strengthened structure from the beginning, conditioner can do its job and offer protection to your already luscious locks. Fish oil capsules can also help reduce and slow down hair loss. When your diet lacks the right nutrients to maintain proper function, your hair is often the first thing to suffer. With fish oil capsules, the fatty acids responsible for healthy body function are no longer deficient, and hair growth can happen at a healthy pace. Did you know that hair and nails are closely related? The same keratin that makes up each strand of your hair is also the building block for your fingernails. The omega-3 fats found in fish oil pills helps your nails in the same way they give you hair protection: at the root. If your nails are brittle, peeling and splitting regularly, you might consider taking a fish oil supplement to help your fingernails grow stronger from root to tip. Your skin takes a beating daily. All the pollutants in the air, sun damage, makeup, dirt, and daily wear dramatically affect your delicate skin. Often skin can become irritated and inflamed, causing breakouts and dryness to occur. Fish oil can help even the most aggravated skin. The omega-3 fatty acids found in fish oil supplements are naturally anti-inflammatory, as such, they can reduce the inflammation often caused by daily living. Once your skin experiences the soothing effect of fish oil capsules, it can heal itself from the inside out. But omega-3s don’t stop there. These fatty acids are naturally emollient, coating each skin cell with healthy fats that help to absorb and retain moisture. With daily supplementation, fish oil pills help skin stay moisturized, giving it a healthy, radiant glow. Sometimes problem skin is more severe. Skin conditions like rosacea and dermatitis are more than unsightly, they are uncomfortable, and often highly inconvenient. Fish oil supplements can help with a variety of skin diseases, and bring some much-needed relief. In one study, patients with chronic psoriasis completed an 8-week course of fish oil capsule supplementation or placebo supplementation. After the trial period, study participants who added fish oil to their daily routine experienced a significant decrease in itching, skin redness, and scaling common to chronic psoriasis sufferers. The overall area affected by psoriasis also decreased. These striking findings give hope to many with chronic skin conditions seeking an effective treatment. If you count yourself in this group, fish oil pills are worth a look. Our kids deserve to have the best shot at a long and vibrant life. They count on us to give them what they need to make the most out of the time they have been given. Fish oil capsules are an essential ingredient to the extended and enhanced life experience you can give your child, from conception and well into adolescence. I’ve already mentioned this, but it bears repeating because it is important. Pregnant and breastfeeding mothers who up their intake of omega-3 fatty acids give their babies a boost in brain and eye development. These moms also help their child’s coordination, give their vision a head start, and prevent future allergies from developing. While omega-3s are available in fish, seafood isn’t the safest way for pregnant or nursing mothers to add these fatty acids to their diet. Because many fish contain high levels of mercury, which has been linked to developmental delays in children and infants. Therefore, taking a fish oil capsule is a far safer choice. Parents of children with severe allergies or asthma suffer alongside their child each time an attack occurs. If your child is an allergy sufferer or has asthma, fish oil pills offer a solution. Mothers who include fish oil in their prenatal supplements reduce their child’s risk of asthma by up to 29%. Furthermore, infants whose mothers took fish oil are significantly less likely to develop common childhood allergies. With the rate of childhood Attention Deficit Disorder (ADD) and Attention Deficit Hyperactivity Disorder (ADHD) on the rise, many parents are looking for ways to curb their child’s chances of developing either one. With the optimal amount of omega-3 fatty acids available for brain composition, a child has a significantly reduced likelihood of developing ADD or ADHD later in their young life. Fish oil supplementation also calms excessive hyperactivity, impulsiveness, and aggression without stifling creativity in growing minds. These benefits are sure to contribute to a child’s educational and social success. Fish oil supplements are beneficial to an adolescent as well. Hormonal shifts and changing relationships may cause emotional turmoil in your teen. As the rate of diagnosed depression in adolescents continues to rise, taking a daily fish oil capsule may prevent some of the stress common to the teen years. Many studies have observed that in patients with diagnosed depression, blood levels of omega-3s are consistently low. With supplementation and subsequent raising of omega-3 levels, patients experience significant alleviation of symptoms common to sufferers of clinical depression. If you want to give your teen the edge over emotional turmoil, fish oil capsules might be the answer you’re looking for. On a more superficial note, skin complaints are a common problem during adolescence, especially mild to severe acne. The omega-3 content of fish oil supplements gives skin a healthy clear glow sure to boost the confidence of the most unsure teen. A good fish oil supplement for kids is the one here. If you are a health-conscious individual, or if you are starting your journey to better health, you’ve come to the right place. While leading an active lifestyle and eating nutrient dense foods are excellent steps in the right direction, don’t limit yourself to less than optimal health. Omega-3 fatty acids are an integral component in the function of many vital systems and parts in your body, it’s no wonder doctors, and nutritionists recommend increasing your intake. Fortunately, you don’t have to live on the coast or love fish to get your daily dose of omega-3s. Taking a daily fish oil supplement is a fantastic way to support and ensure your healthy vitality for years to come. You’re welcome. I love to share things that have great health benefits. Wonderful article, I have been taking salmon oil for last 3 months, I have noticed remarkable health improvement. I love reading your articles. If you know better, I would be interested to hear from here. Sure. Just like fish oil, hemp seed oil has been shown to alleviate symptoms of eczema and psoriasis. Hemp seed is also relieves symptoms of inflammation and is acts as a powerful antioxidant and promotes free radical elimination. Fish oil has benefits for both the brain and the heart due to Omega 3 and 6. Fish oil also helps to reduce high cholesterol and high blood pressure. Pumpkin seed oil is very rich in zinc, which for males is very good for prostate health. So, overall, I would say yes in that both hemp seed oil and pumpkin seed oil are excellent for different reasons and generally comparable to the benefits of fish oil. Happy for someone else to contribute to this message. I requested some advice about the various types of fish oil, krill oil, cod liver oil, but I did not expect information of this calibre. Fantastic!